Also available as Deuserband Light Original-Deuserband Light! 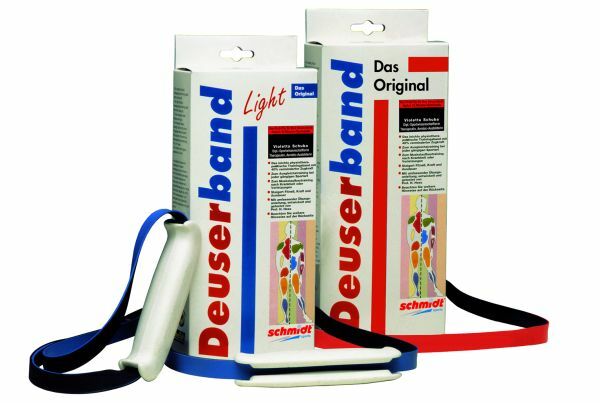 The Schmidt Original Deuserband for improved strength, endurance and coordination is a essential part of any complete fitness programme since 1967. Get fit and stay fit without spending a lot of time or money, at home or the office, or on the road. It's certainly possible if you exercise with the Original Deuserband. You can put together your own personal fitness programme for greater mobility, strength, and endurance. great product, very happy with quality.